Co-sponsored by Friends of the Upper East Side Historic Districts and The American Irish Historical Society. 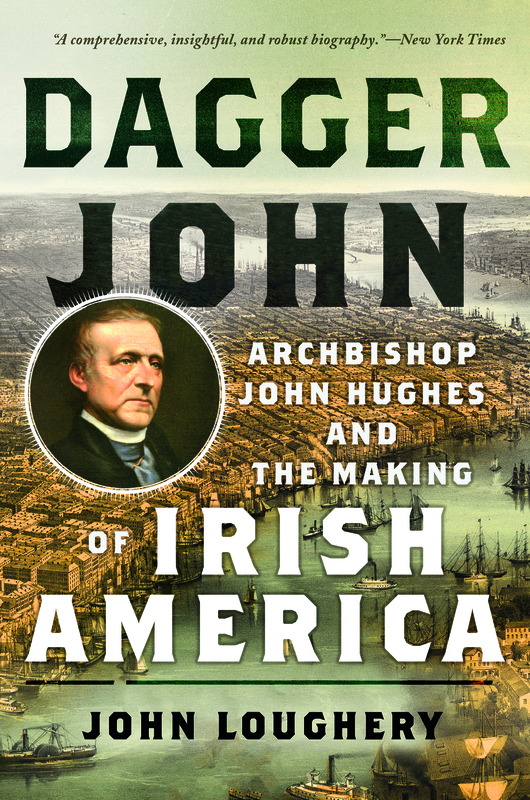 We are honored to be collaborating with an acclaimed neighboring institution; the Friends of the Upper East Side Historic Districts for a book talk on ‘Archbishop John Hughes and the Making of Irish America’ by John Loughrey. Founded in 1982, FRIENDS is an independent, not-for-profit membership organization dedicated to preserving the architectural legacy, livability, and sense of place of the Upper East Side. Yorkville and the Upper East Side are well known throughout their respective histories for a mix of Gold Coast Patricians to the west as well as German, Czech, Slovak and Hungarian immigrants to the far-east. However, dispersed throughout both of these areas between opulent Fifth Avenue and the commercial and industrial East River waterfront was a large population of Irish Immigrants and their families through the 19th and early 20th Centuries. This event will shed a light on the lives of Irish Americans on the Upper East Side and other parts of Manhattan through the lens of the history of Archbishop John Hughes, a nearly mythic figure and Irish community leader.